A serial killer is stalking the shadowy streets of Mangel. Who can stop this killer they call the Reaper? Who is man enough to track him down? Who could possibly take on this beast? What manner of man can contend with this fiend? Step forward Royston Blake Mangel needs your swede on the case. Mangel needs YOU! 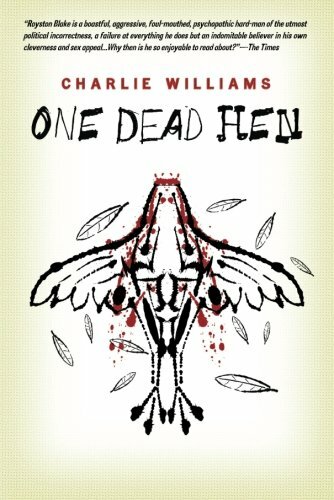 One Dead Hen is the first novel I have read by Charlie Williams. I enjoyed the character of Royston Blake immensely. I found the telling of the story from his perspective to be both fun and entertaining. However, this single character perspective did become just a little bit wearing after a while. I enjoyed the added few snippets of journalistic articles at the end of some of the chapters. These helped to break up the story a little. I feel that maybe another perspective mixed into the plot on occasion would have made it a more engaging read. That said there was ready wit and humour throughout. Unlike some reviewers of this story I did not find the language off putting. It was relevant and in character and added to the humour at times. The character of Blake has a very strong voice and is an interesting well rounded creation. I’m a big fan of Robert Rankin and found some parallels of his Brentford books in One Dead Hen. Overall a very enjoyable read and told in a fairly unique way. 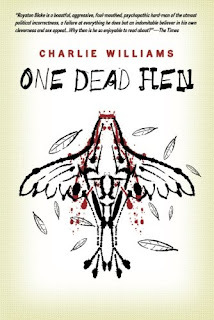 I will certainly be reading more by Charlie Williams I can tell that Blake will have me chuckling at every turn. I'd like to give you the Liebster Blog award. Check out my blog http://elementaryvwatson.wordpress.com for details and artwork. Nice review. Royston Blake is one of those engaging series characters going, no question.